Camp truly begins when our campers board the bus each morning! Along the road to Kennolyn, they sing favorite camp songs and each bus creates its own unique cheer for a future competition. 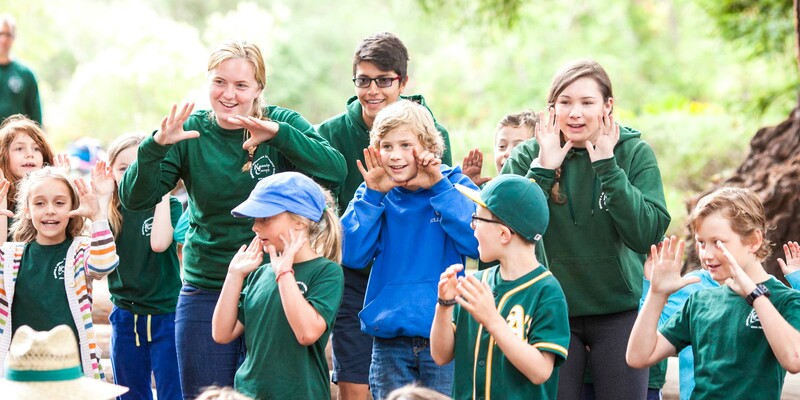 When buses arrive, campers join their groups for Opening Circle a fun, energizing start to the day with songs, skits, cheers and flag rising at our campfire amphitheater in a beautiful redwood grove. Each group has two counselors who remain with the groups at all times throughout the day and are assisted by our Counselors in Training. The camp day is 9:15am-4:00pm Monday to Thursday. Friday camp ends at 3pm. 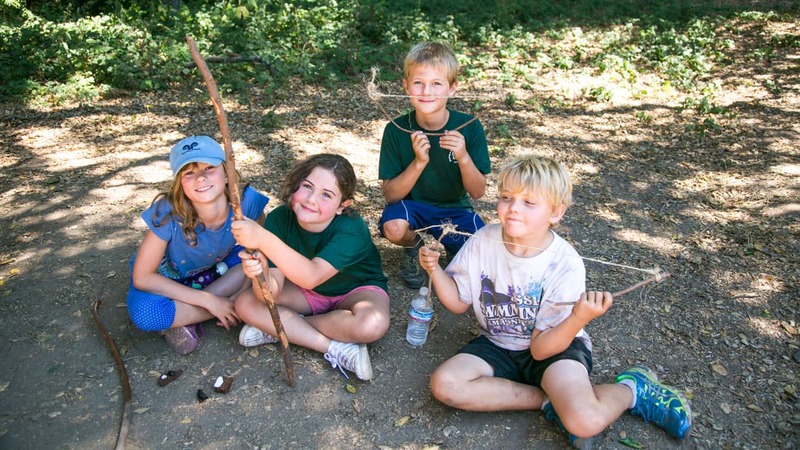 Monday through Thursday are regular activity days, when Day Camp offers a full schedule of 6 different periods with a fun lunch, play and break time in the middle of the day. Each activity day is not exactly the same, however. 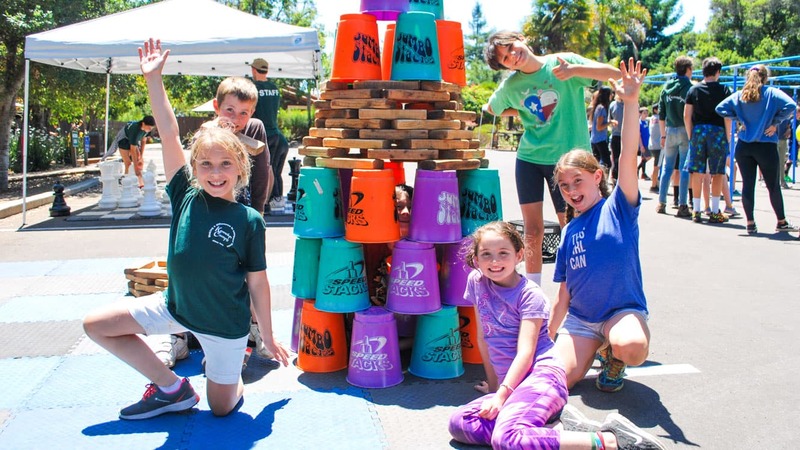 To allow campers to enjoy as many activities as possible, the schedule rotates with Monday/Wednesday activities and Tuesday/Thursday activities. All campers have a chance to swim each day. For many of the activities, co-ed age groups are together, and sometimes similar age groups are paired up to participate. Campers enrolled in Kennolyn Select activities will have a slightly different schedule from their group’s regular day. Although Kennolyn runs on a regular activity schedule, we always find time to hold special events, which can last one hour or a full day! Each fun-filled day ends at our campfire circle, where the whole camp gathers together to sing songs, hear camper announcements, and perform skits and bus cheers on stage. After closing circle (like opening circle), campers board the buses and head home to rest up for another busy day.